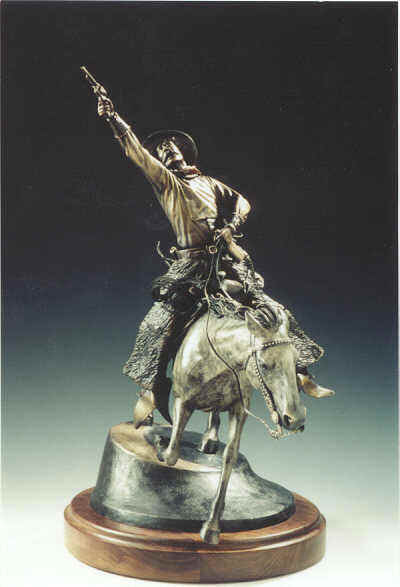 THE WILD and wooly west is personified in this bronze sculpture, depicting an early day cowboy who is on his way back to the ranch after celebrating payday in some rough and dusty cow town. 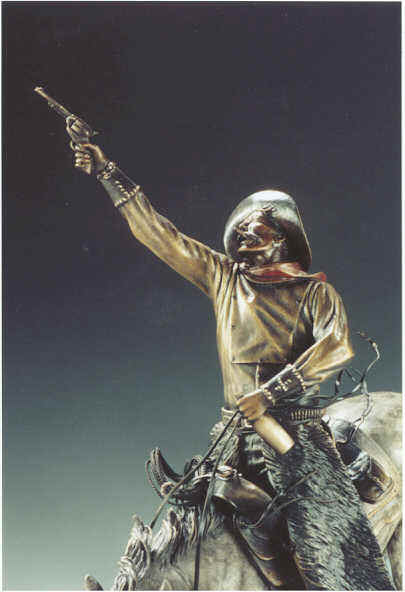 THIS SCULPTURE stands 24 inches high and 21 inches long and cast in edition of twenty signed and numbered bronzes. Please contact us for pricing. Bronzes are cast on an as ordered basis and you should allow 30 to 60 days for delivery. A 50% deposit is required. Shipping costs vary based on weight, distance and crate or box costs. We ship most bronzes in a plywood crate. You will be invoiced for the shipping charges prior to shipment. We charge you only actual shipping and packaging charges.